Beautiful, feminine mujra items. Evergreen classics and modern Indian film items. 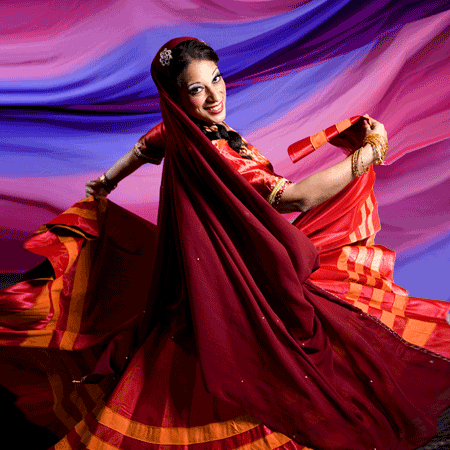 Repertoire includes everything from Pakeezah and Umrao Jaan up to the latest up-to-the-minute current hits. Zari is the only American belly dancer to be specially requested to dance for Shah Rukh Kahn himself. Is this performance a surprise at the event? Location & Date - Where and when is your event occurring? everything went extremely well...thank you again for all of your help and guidance with everything...you were wonderful and everyone enjoyed the dance so much - it was one of the main highlights. "Thank you for a SPECTACULAR performance! I had such a great time with this party that I'm already thinking of planning another Indian event. I hope that you will perform for us. Hi Zari,I just want to say thank you for your wonderful performance at my party. I have a lot of good photos and video of you that I would like to send them to you. Hi Zari: You were fantastic. Your work shows the background preparation and elegance. "Dear Zari, Thank you!!! You and your dancers were wonderful and beautiful! It was a pleasure to work with you and I appreciate your attention to detail. The client loved the performances and was so excited to see so many of their friends get out on the dancefloor with you! Thanks again for your help in making it a special surprise for all the guests. I will definitely keep you in mind for the future, All my best, "
HELLO DEAR ZARI I REALLY THANK YOU FOR YOUR PERFORMANCE. YOU ARE AN AMAZING PERFORMER...I HOPE WE WILL SEE YOU IN ANOTHER EVENT... THANK YOU VERY MUCH...."
Zari! thank you soo much for the wonderful job you did dancing at my engagement party on sunday night! Soo many of our guests are raving about your dancing & everything that you did with the beginning solo performance to the incorporating of our friends & family into the dancing! you made our night soo memorable! thank you soo much!" Dear Zari, On behalf of Happy Hollow Park & Zoo, we would like to thank you for partaking in this year's "Party on the Wild Side." Your involvement made our event very exciting and unique which is what we strive for every year to make our party a success. It is also a goal of ours to show our appreciation to our members, and to remind them of why it's worth being a member. We couldn't have achieved this goal without you! Your participations was very much appreciated. 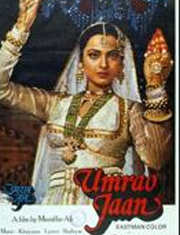 One of the most famous films starring Rekha, this epic movie boasts songs like "In Aknhon ki Masti" and "Dil Cheez kya Hai"
Adapted form a famous novel, Umrao Jaan is the story of a Lucknow cortesan. Kidnapped in childhood, she grows to become the most famed poet and dancer of her time. Filmed over a two decade sapn, Pakeezah is famous for songs such as "Inhin Logon.ni" and "Chhalte Chhalte"
Starring Meena Kumari, Pakeezah is a visually stunning movie about the love between the daughter of a courtesan and the son of an aristocrat. Starring the iconic Madhuri Dixit and beauty queen turned actress Aishawarya Rai. 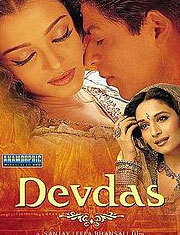 Devdas is the tale of starcrossed lovers who are parted due to a feud between their families. It stars Shah Rukh Khan in the lead male role, and Aishwarya Rai as the ingenue. Madhuri Dixit is the third player ina tragic love triangle. Songs include "Maar Dala," "Dola Re," "Kahe Chhed Mohe"
Popular everywhere in the world, raqs sharqi is the glamorous solo dance which has become the most visible form of middle eastern dance. Belly dance is performed to Arabic music, and most shows include an entrance with swirling veils, a slow lyrical section and a fast, dynamic drum solo at the end. Folk dances of the middle east take many amny forms! Form the twirling cane dance to khaleeji hair tossong to the ever-popular dabkeh line dance, these dances are wonderful to see.